1. Make the dressing by mixing the Mega Tuna Sweet and Spicy oil, lime juice, chili flakes (optional), salt and pepper then set it aside. 2. 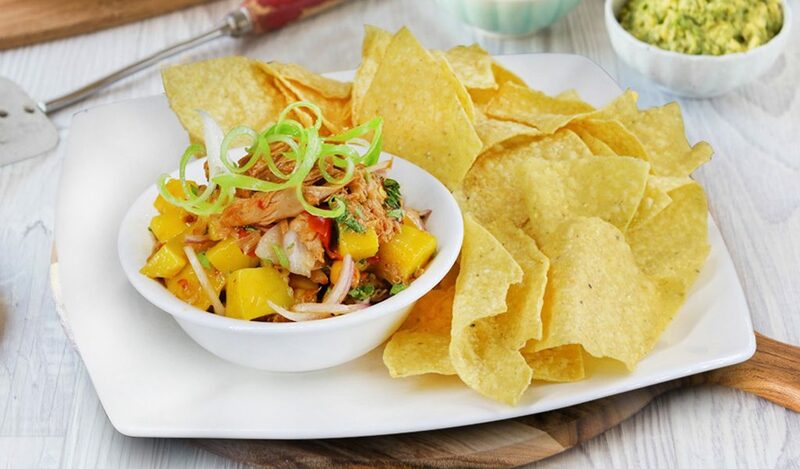 Toss together the Mega Tuna flakes, corn, mangoes, onions and cilantro/spring onions. 3. Pour the dressing over and mix it gently and top with more cilantro/spring onions and serve it with nacho chips.